Target breaks ground at the Shoppes at Kissel Village in Lititz, PA.
Lititz, PA (Lancaster County) – February 1, 2011 – R.J. Waters & Associates, Inc., Southeast Pennsylvania’s premier development, management, leasing, and brokerage firm, has closed a deal with Minneapolis-based retailer Target to build a 133,500 square foot store adjoining the Shoppes at Kissel Village in Lititz, PA. Sitework began in January, with a store opening in the Fall of 2011. The Shoppes at Kissel Village is home to a Giant Food Store, Fashion Bug, CVS Pharmacy, Hallmark, Pet Valu, Schuykill Valley Sports, Radio Shack, Wine & Spirits, Starbucks, Saladworks, and several other retail tenants. The 144,645 square foot center will be expanded to accommodate a 133,500 square foot Target store and a 6,500 square foot restaurant, bringing the total size of the center to 284,645 square feet. 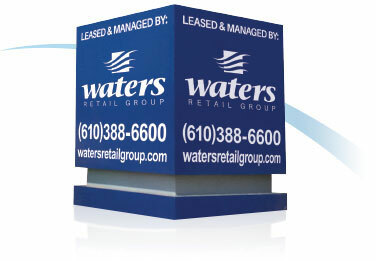 For siteplan and leasing information, please visit our website at www.rjwaters.com, or contact leasing agents Kevin Lahn or Joe Waters at 610.388.6600. R. J. Waters & Associates, Inc. is a commercial real estate development, management, leasing, and brokerage firm located in Southeast, Pennsylvania. R.J Waters & Associates, Inc. manages and leases 21 neighborhood shopping centers throughout Pennsylvania, Delaware, and Virginia. Collectively, we manage over 2.4 million sq. feet of retail space, catering to the needs of over 350 tenants. Please visit our website at www.rjwaters.com.